Wir suchen aktive und vor allem freundliche Spieler. Eine Gilde ist dazu da, eine Gemeinschaft zu bilden, die sich unterstuetzt. 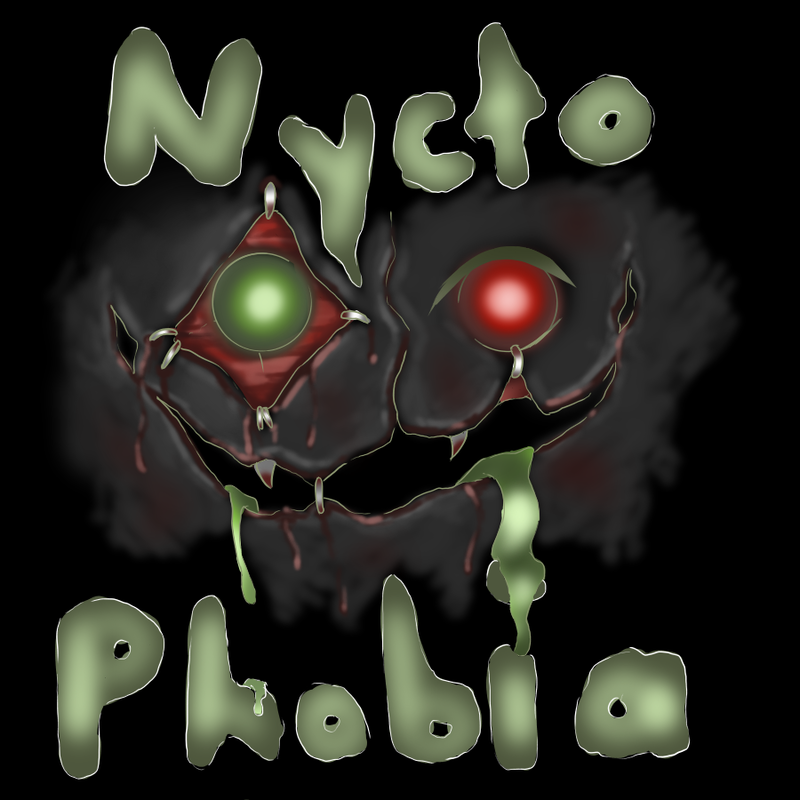 Nyctophobia ist aktuell die groesste und aktivste deutsche Gilde auf dem Server. Bei laengerer Inaktivitaet passiert bei uns erstmal nichts, sollte aber Platzmangel herrschen, wird das Mitglied, das zu dem Zeitpunkt am laengsten inaktiv ist, aus der Gilde entfernt. Jede Entfernung aus der Gilde wird vorher besprochen. Wir machen taeglich DoD, TK, T1 & T2. DoD mehrmals am Tag, dass jeder auch einmal mitgehen durfte. Die Endgame Waffen sind schlussendlich das A und das O. Hilfsbereitschaft innerhalb der Gilde zeichnet uns aus. Jeder in der Gilde hilft anderen Mitgliedern gerne. Hast du eine Frage, wende dich an einen Gildenkameraden oder schreibe in den Gildenchat ( /g "text" ). Sollte deine Frage nicht beantwortet werden, wende dich an Offiziere oder an die Gildenmeisterin selbst. Wenn du Hilfe in einer Mission brauchst, kannst du dich immer gerne an deine Kameraden wenden. GvG ist keine Pflicht, aber wir machen es der Belohnung und des Spasses wegen! Wir haben einen gigantischen Discord mit vielen, hilfreichen Infotexten, sowie Klassenbuilds. Der Discord ist mein persoenliches Herzstueck, da wir unzaehlig viele Stunden/Tage/Wochen/Monate darin investiert haben. Jeder ist herzlich dazu eingeladen, dem Discord beizutreten und seine Informationen daraus zu beziehen. Wir bitten allerdings darum, dass keine unserer Anlagen kopiert oder an Dritte weitergegeben werden, warum versteht sich bestimmt ohne Worte. Wir telefonieren uebrigens sehr gerne, falls du ein leidenschaftlicher Voice Chatter bist, findest du hier auch was du suchst! Konnten wir ueberzeugen? Suchst du noch deutschen Anschluss? Unsere Familie nimmt jeden von euch freudig auf. Schreib unsere Offiziere doch einfach In-Game an! Amotek, Mayuli, KiaM, ToXiiiX und Amyrillis freuen sich auf eine Nachricht von dir! From level 80 you will get a quest from Amos in Aven to solve the Temple Knight's Trial. Temple Knight's is a heavy dungeon and can only be mastered with 5 players, as every boss is spawned by talking to an NPC. Each of these NPCs must be talked by a different player. This means that you can only talk to one of the NPCs and this turns your skills into a Boss skillset. TK has an extremely short time span. As soon as you talk to the NPCs the clock is ticking and you have just a few minutes per boss. Easy way is to discuss an order here in advance. It is best, the strongest in the group takes the simplest boss and the weakest the toughest. I'm taking an Annihilator for the entire Temple Knight's Trial to break them (because of the trophies) - The weakest in the group should go Annihilator Class and talk to the 4th NPC, because the 4th Boss does not need an Ammo and for the 4th Boss you need all power, which is possible. To defeat the 4th boss successfully and in time, do not kill both!! Bring both HP bars down to a thumb width and then kill. When one is dead, the other spawns again - so you have to kill both at the same time and the time is ticking, be fast! It will be hard without strong gear, but hard work will be rewarded - the quest gives you a great reward: the title "Temple Knight". This title gives you 10% on all your stats! Why is Temple Knight's Trial still done every day anyway? In the Temple Knight's Trial (short: TK) you can get extremely strong trophies and rings! The combination of these sets give huge boosts and are indispensable for many classes. Which Loot can You get? You can buy the rings!! If you are in a hurry and You do not get your ring, You will earn points per TK run. If you have 60 of these Temple Knight Insignia (meaning the currency) You can buy at Tyrosen in Aven (X: 325, Y: 275 ) under "Exchange for Temple Knights' Hall Rewards" the rings You need. -> This only works with the rings, not with the trophies. This dungeon can be made only once a day, you better relog before you enter TK, because if you disconnect, you will not come back in and your chance for this day is over. In Aven at Giardo (X: 475 Y: 390) you can enter from level 70 T1. In T1 you get blueprints for your weapon and bodygems. To be really strong, you will need them. T1 has 50 floors. Floor 9, 19, 29, 39 and 49 are boss floors. It is important to check if these bosses have REF or BPB and it is very important to hit the boss at least once, if you could not catch him, you will not get his reward. Every boss drops Demon Crystals and you need them as a material to make your weapon and bodygems. Floor 10, 20, 30, 40 and 50 are the NPC floors. Of course, 50 is the floor, with the best body and weapongems, the other floors also have great Gems so look at them too! Floor 16 is a PURE REF floor, don't just run useless in there, you can not reset the monsters and boss in T1. Important: When all party members die, you are kicked out of T1 and the run is over. You are not allowed to enter T1 again at the same day. Ultimate Trick in T1: Since the stages random spawn REF monsters, you die extremely fast. The ultimate trick is to take a Sage that always stays at the entrance, because the Sage can make the party invisible and thereby reset the monsters. Pet has to be turned off and no skill should be cast when You use it - stand next to the Sage, so the monsters can be resetted and party members can be revived if necessary. So you escape the port-out problem from T1, even before all are dead! In Meeryasha at Yvonne (X: 400, Y: 420) you can enter from level 85 T2. In T2, you also get blueprints for weapon and bodygems (the ones you do not get in T1). To be really strong, you also will need them. T2 is similar to T1, but without floors. T2 is permanently a single space, in the middle of it is the boss and around him the mobs. First clear the mobs before attacking the boss. In contrast to T1, you can reset the boss here, but the mobs do not and you can die in T2 as you like, you will not be kicked out. Also in T2 spawn REF monster so pay attention! If the room is cleared and the boss is the only one left, it is important to make sure that you hit at least once the boss, if you could not catch him, you will not get his reward. Each boss drops mini reactors and you need them as a material to make your weapon and bodygems. When You have cleared all the rooms and defeated all the bosses, there are 6 NPC's spawning in the room where you can buy your blueprints. This dungeon can be made only once a day, you better relog before you enter T2, because if you disconnect, you will not come back in and your chance for this day is over. Also remember not to revive in the dungeon unless you are using Locus Life Leafs this will port You out and You will be not able to go back in. We have many different races in Eden Eternal and they do not just differentiate them in their looks! Racial Crafting - enormously useful, one of the best sources of money and you can always take care of yourself without being dependent on others. The Ursun race can make class glyphs (engraving) to improve your character and class. These glyphs (also called class glyphs) have two types of effects: raising stats and improving skills. The stats increase (STR, WIS, Crit DMG, Atk Spd, etc.) is considered passive, which means they are available, no matter which class you are playing. The ability improvement is only active if you or another group member in your group owns the glyph and plays the class. Glyphs that require "attack" or "under attack" conditions can be activated, regardless of class, as long as the extended ability is used. Example: Cleric's 'Grace of Wisdom' can be activated on a knight as long as the knight equips the glyph and has the buff 'Grace of Wisdom'. Zumi are masters of technology. Their finest machines can produce miracles that have become extremely important to all and even increase their fighting power for a short time. For Zumi itself (since it is very limited), all I can say is that they can do some of the best stuff in the game, including: Twist of Fate Tool, Fourth Dimension Bag, Remote Control Dice, Poisonous Powder, High Quality Pet Food, Wonder Pocket and Super Fertilizer! Anurans are masters of alchemy manufacturing. Although every potion can make temporary improvements, Anurans can create something even more powerful. They can also use their craft to create costume colors, improve the effectiveness of followers and even create special foundations that can be used for special equipment. Human is the most played race in Eden Eternal and their craft is annoying and complicated. The humans master the Gem craft, use basic Gems (eg: STR Gem Level 1) and enchant them to a higher quality (eg: STR Strike Gem Level 1). With the help of Anuran Racial Crafts, people can also enchant Gems of special quality that have unique qualities that can not be done by anyone. Unlike other crafting professions, Gem Craft has no base material created by the player. Instead, it needs gems that can be made through the Alchemy Pool in a GT. Level 1 & 2 Gems can not fail, but level 3 and beyond the crafting success will drop slightly. The later "refined" Gem can not fail, only crafting of the base material can. All Gems in human racial craft are completely random! You want to refine eg a LCK-Elimination Gem Level 6, so you start the gem at level 1 and work it up to level 6 and it can become eg LCK-Fatal Gem Level 6 - to get another level 6 gem now, forget the LCK Fatal Gem Level 6 and start again from level 1 and hope for your luck. First of all You should know, to send in a ticket this has to be important - please don't send tickets if Your problem can be solved in game or is already explained somewhere else. Right - You might have not get the Battle Mount but in this case You would have better looked at what a "Mystery Box" actually is - the description clearly explains that it doesn't guarantee that You will have a Battle Mount after taking the Mystery Box but You will be rewarded with a different Item if You had no luck. You may be able to fix some problems or issues with a Game Master in the game or via private Discord Message before sending in a ticket. This can make some things faster and they will be more than happy to assist You. Please remember - Provide as much information that is relevant to the issue as possible! Note: Remember the ticket can't be answered instantly so give the staff some time. Don't send more than one ticket about the same issue because sending multiple resets our ticket que! If the Ticket haven't got answered after 48 hours please save Your Ticket's ID and inform a Game Master in-game or via private Discord Message, they will have Your ticket pulled up then.